These contractors are installing the steel pillars in concrete to stop vehicles from parking on the pavement outside a Sports Bar downtown. They are now in the process of cleaning up at the end of the day anxious to go home. 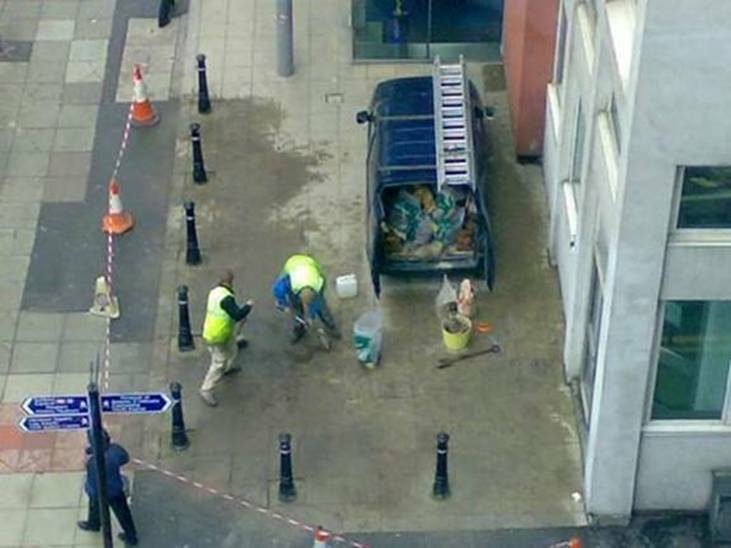 How long do you think it’ll be before they realize where they parked their truck? This entry was posted in News & Updates, Roofing Contractor and tagged construction, general contractor, installation, Roofmax. Bookmark the permalink.